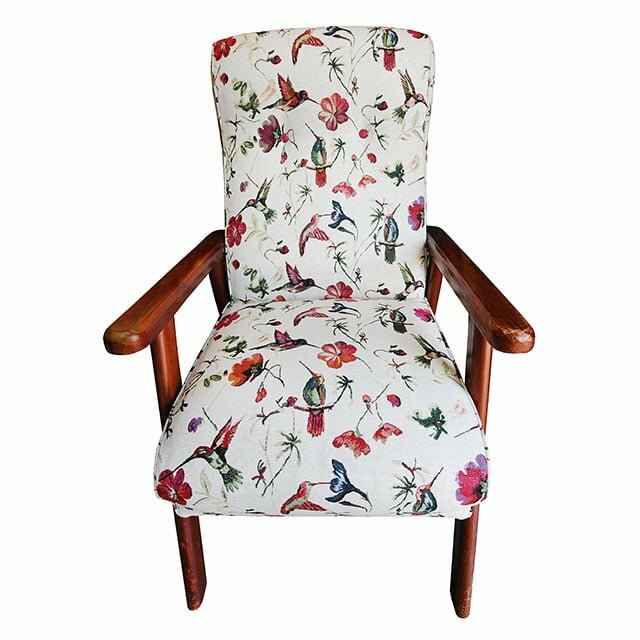 Our client chose this gorgeous fabric to bring this vintage armchair back to life. The frame of the armchair was in good condition so it was the right decision to reupholster it. The client supplied the fabric. We work with fabric suppliers such as Warwick Fabrics and the Wortley Group to provide a comprehensive range of fabrics. Of course, when a client finds their own fabric we are more than happy to apply that to their furniture. If you would like a quote to bring back to life an armchair please Contact Us today.